The Kitchenista’s Appetizer Handbook is a collection of recipes for the appetizers I’ve prepared for my friends, family and clients. I’m thrilled to be able to pass them along to you, along with tips and tricks that I’ve picked up from my experiences as a home cook and private chef. Whether you’re hosting an upscale event or a casual get together, there’s something here for every menu. I’ve included classic appetizers people find comfort in, updated with my special touches, along with new appetizers that you’ll enjoy introducing to guests for the first time. And for those up to the task, I provided recipes for homemade spice blends and condiments that will really make your appetizers shine. condiments that will really make your appetizers shine. Notes: All ebooks are sold in pdf format. You will receive email confirmation with download links. Each purchase entitles you to 5 downloads within 120 hours, after which the links will expire. New links will require a new purchase, so please download immediately upon receipt. 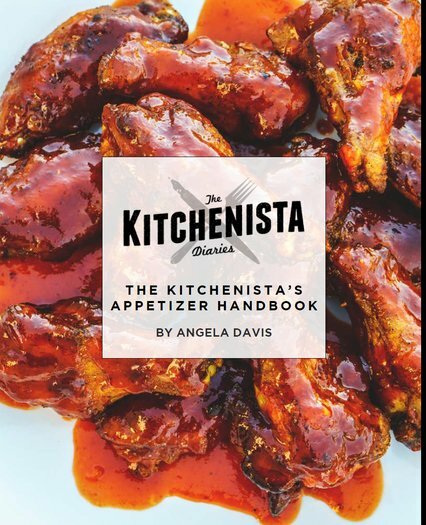 If you have technical issues with the download please contact me at the time of purchase at angela@kitchenistadiaries.com.